JoeS wrote: Which brings up an interesting point: many parking garages prohibit backing into a parking spot (because of exhaust marks on the walls), even though it is the safer way of parking.
" though I do use the 'drive through' option wherever possible so I can drive forward leaving without ever having to back up, coming or going "
The real reason is that you're obviously a criminal committing robbery if you need to make sure you can get away as fast as you can. Either that, or a criminal trying to make yourself harder to keep track of in places where you only have a license plate in the rear, so the cops driving by can't keep an eye for license plates. In any case you must be a public enemy and probably a communist too. Thought I'd move our recent discussion into its own Topic, into the Off Topic forum. We do it both ways, with my wife going in forwards, and me backing up. 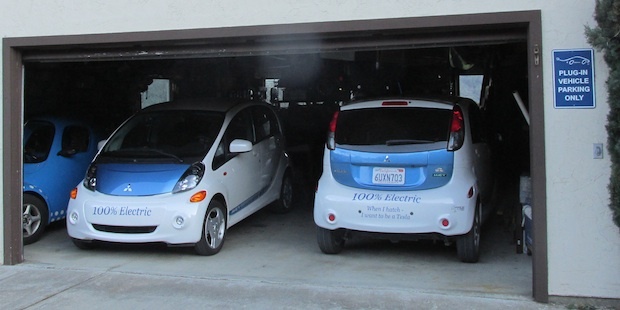 Note that one of the Sparrows next to the i-MiEV is also backed-in, but that has more to do with it's single-door placement on its right side. 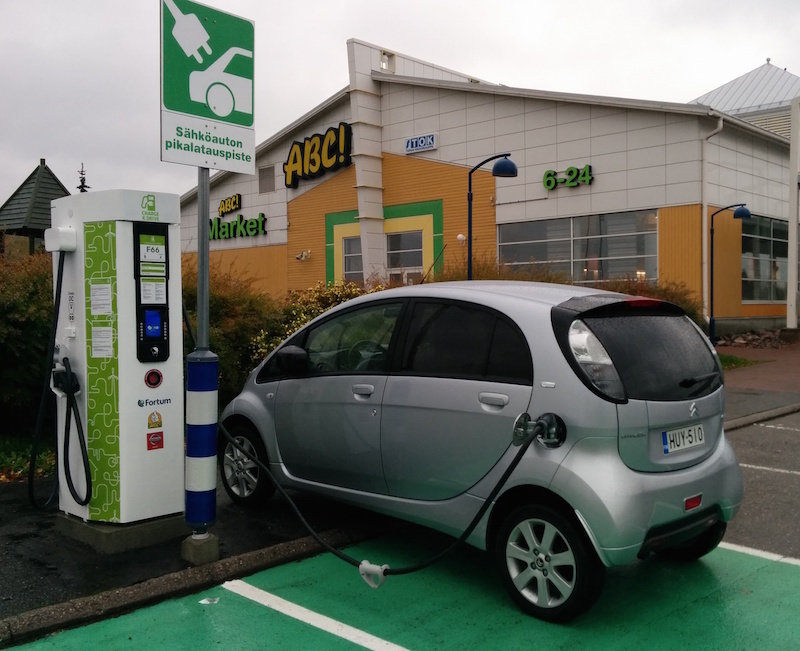 Quote: "...it’s safer to back into the controlled environment of an empty parking space than it is to back out into the less controlled environment of a parking lot." JoeS wrote: Quote: "...it’s safer to back into the controlled environment of an empty parking space than it is to back out into the less controlled environment of a parking lot." This is the first time I have ever heard of anywhere that has laws regarding what direction people can park in - especially when the law prevents the (in my opinion) safer way of parking - backing in every time for me if I can (or a drive through). 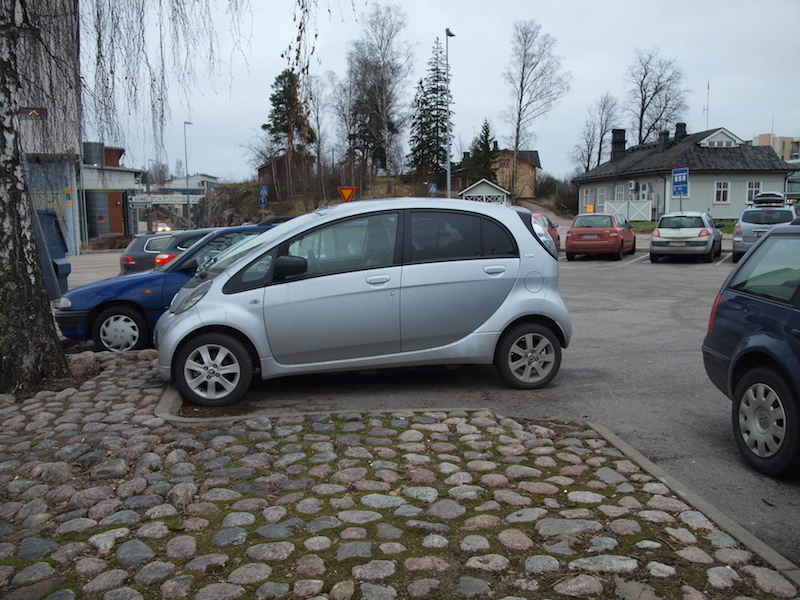 I never used to back in to park, but since I got the i-Miev that has changed! 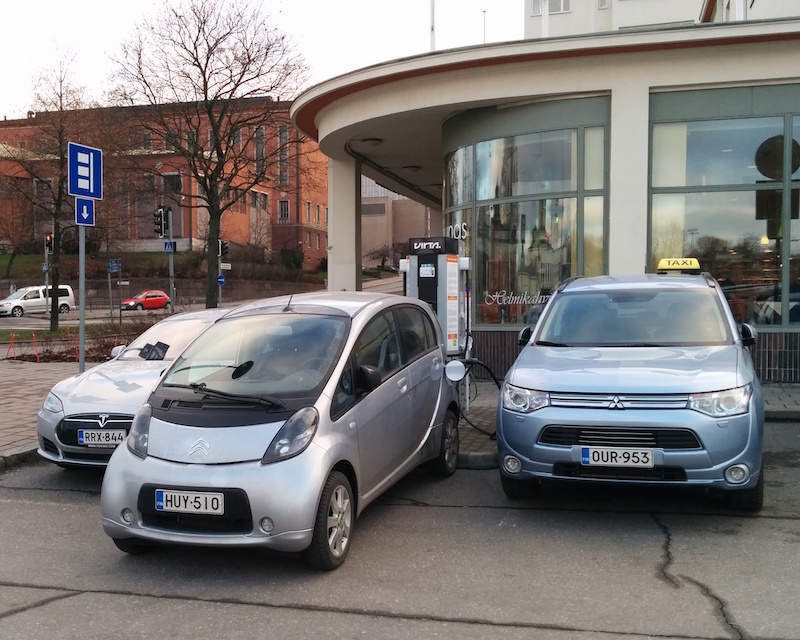 Now I almost always back in to my driveway and to public charging spots. Why? 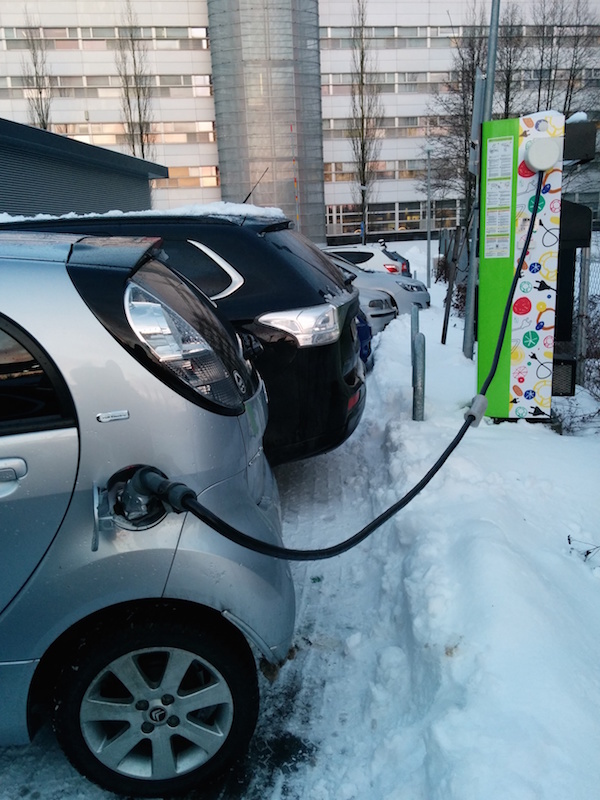 Because the charging port on this car is toward the rear so it reaches much easier if I back in. I've quickly gotten used to it, and now it doesn't really matter to me one way or the other. I'm a big fan of reverse angle parking. Mabe just to rub LEAFs the wrong way! jray3 wrote: I'm a big fan of reverse angle parking. Mabe just to rub LEAFs the wrong way! +1 Having experienced this in Australia, this technique provides an even-more significant safety measure when pulling out into traffic, even better than when backed in perpendicularly to the curb. Anyone who can't back into a spot like this should not be driving!